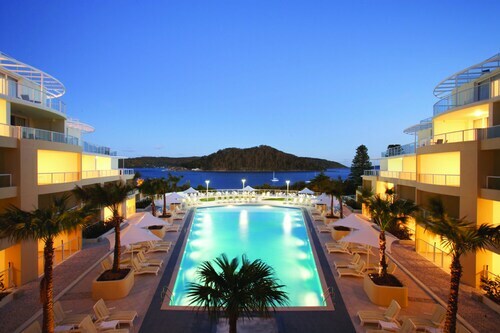 Situated in Ettalong Beach, this beach aparthotel is within 1 mi (2 km) of Anderson's Marina and Ettalong Diggers Club. Ettalong Wharf and Turo Reserve are also within 2 mi (3 km). 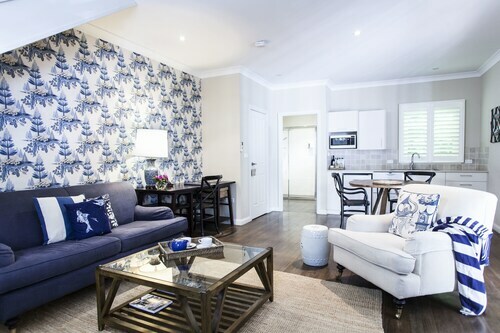 Situated in the entertainment district, this hotel is within a 15-minute walk of The Entertainment Grounds, Gosford Classic Car Museum, and Henry Kendall Cottage & Historical Museum. Central Coast Stadium and Gosford Golf Course are also within 2 mi (3 km). 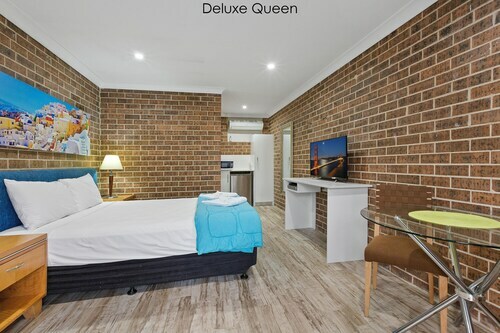 Located in the heart of Long Jetty, this motel is 1 mi (1.6 km) from Toonwoon Bay Beach and within 3 mi (5 km) of Blue Bay Beach and Crackneck Lookout. Magenta Shores Beach and Westfield Tuggerah are also within 9 mi (15 km). 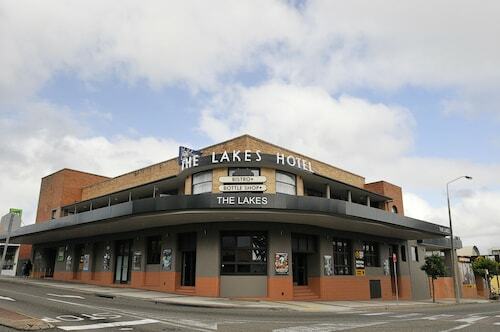 Situated in Narara, this motel is within 3 mi (5 km) of Sensory Park, Laycock Street Theater, and Gosford Golf Course. Gosford Classic Car Museum and The Entertainment Grounds are also within 6 mi (10 km). Niagara Park Station is 14 minutes by foot. 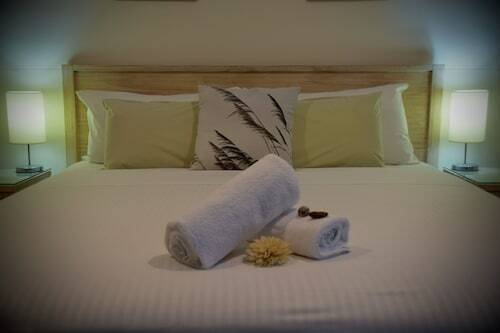 Situated by the ocean, this luxury hotel is within 1 mi (2 km) of Bouddi National Park and Hardy's Bay. Putty Beach and Ettalong Wharf are also within 3 mi (5 km). This Blue Bay apartment building is located near the bay, nestled on the beach within minutes of Blue Bay Beach and Toonwoon Bay Beach. Situated by the ocean, this apartment building is 2.2 mi (3.5 km) from Copacabana Beach and 2.6 mi (4.2 km) from Captain Cook Lookout. Terrigal Beach and Terrigal Lagoon are also within 6 mi (10 km). In between Sydney and Lake Macquarie and close to the stunning Hunter Valley, the Central Coast is a scenic beach region of New South Wales. Despite its close proximity to other major Australian destinations, it manages to retain its own individual character and culture. Although it is often overlooked in favour of other places, there are loads of things for all visitors to do and see, with lots of choices for couples, families, friends, and solo travelers. 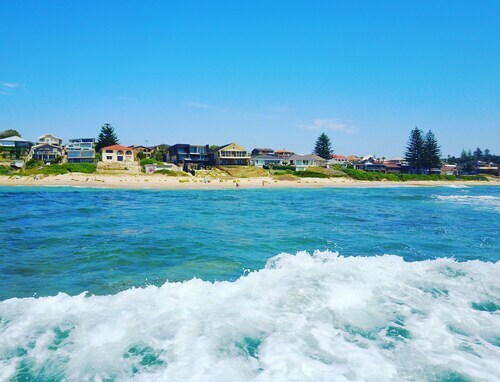 A wide choice of Central Coast accommodation is available, giving you an ideal base from where you can experience the rich diversity of the area. The Central Coast has been inhabited for thousands of years. One of the country’s first English-speaking Aborigines came from the Central Coast. Along the Central Coast, you’ll find beautiful beaches, sparkling lakes, enticing bays, pretty hinterland, and a variety of interesting towns and villages. Distillery Botanica is a local attraction where many unlikely products are distilled to create some tantalisingly tasty drinks. If you fancy even more tipples, check out Firescreek Wines, where wines are made using various fruits and herbs. Luka Chocolates is a chocoholic’s dream! You will likely want to spend some time enjoying the nice beaches. If surfing is right up your street, you should head to Soldiers Beach or North Avoca. 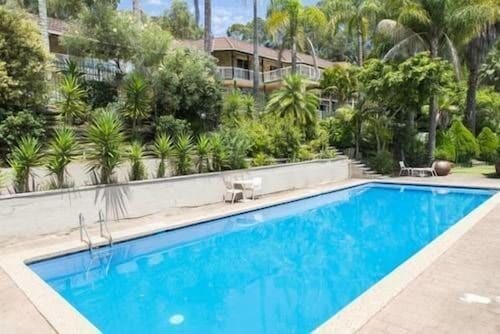 Umina Beach has great views, and Terrigal Beach has a lively atmosphere. Why not add a day of diving or fishing for something a bit different? For nature and wildlife, check out Bouddi National Park, Brisbane Water National Park, and Strickland State Forest, and enjoy a walk along the stunning 5 Lands Coastal Walkway. The lighthouse at Norah Head is a popular sight. For the young and young at heart, there is the Treetop Adventure Park, Australian Reptile Park, and the Central Marine Discovery Gallery. If shopping excites you, you will certainly be happy on the Central Coast - it is home to the biggest single level mall in the whole of the Southern Hemisphere! There are many smaller shopping centres too, as well as numerous places to eat and drink. The bar scene has really grown over recent years. Easy to reach from Sydney, you can either book a flight to Sydney or a flight to Newcastle. 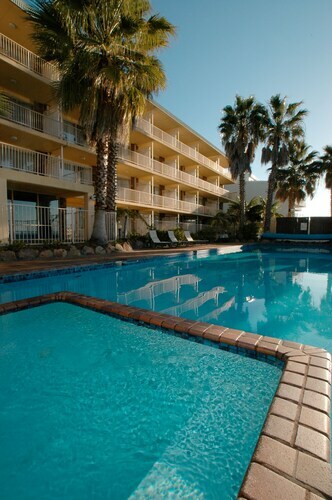 Good roads run all along the coast and you will find Central Coast hotels in all major towns along the way. Need insider tips on must-see attractions in Central Coast? Check out our Central Coast travel guide! 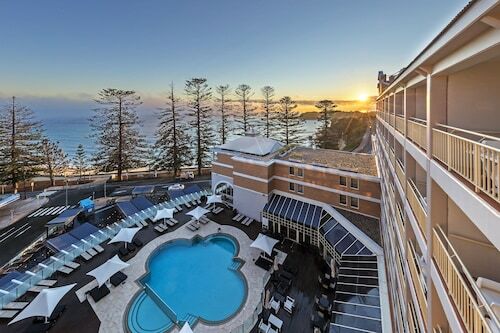 How Much is a Hotel Room in Central Coast? 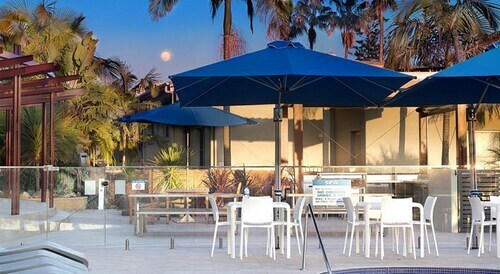 Hotels in Central Coast start at AU$81 per night. Prices and availability subject to change. Additional terms may apply.